In the 20 years since Linux 1.0 first appeared, the open source operating system has become one of the major winners in the enterprise data center, alongside Microsoft Windows. 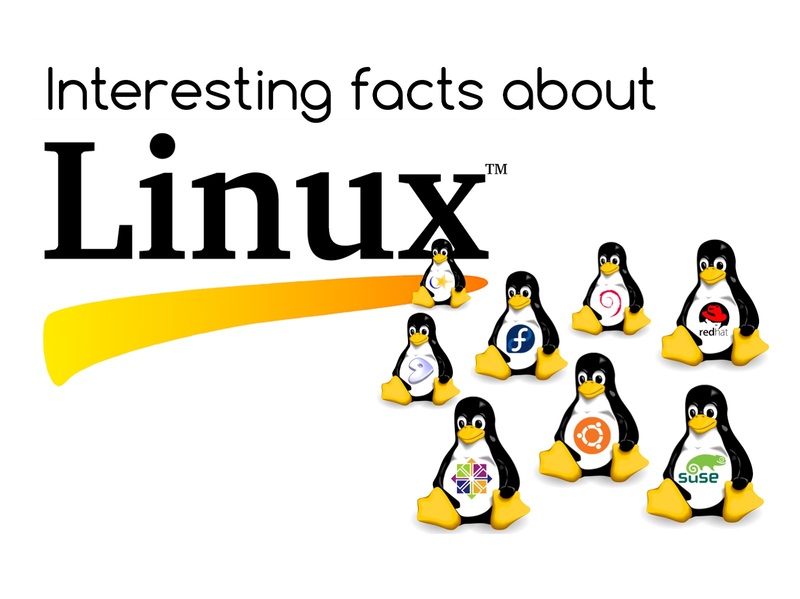 Linux also has a presence on the public Internet and in public cloud services. 1. "LINUX", is a directory name on FUNET - Linux Torvalds wanted to name his kernel "Freax". Well the name is a combination of words "freak" and "free", and then the final X to represent its similarity with the Unix operating system. When the initial code was uploaded to an FTP server, the server administrator didn't like the name Freax, and he suggested the name Linux and gave a directory on the ftp server. The directory on the ftp server was called "linux". 2. Linux is only the kernel - Linux is not an OS, but it is the kernel, GNU Linux is the OS and it comes in several hundred flavours. 3. Microsoft Contributes to Linux Kernel Development - Yes the company whose main philosophy rests on proprietary software development, also contributes to Linux. It even went ahead of Canonical once, in the number of lines of code contributed to kernel. But, do not think that Microsoft is contributing to kernel development for improving the kernel. Its for better support of Hyper-V hypervisor on Linux. 4. Most of the Super Computer's use Linux - More than 90 percent of the world's fastest computer's use's Linux. Linux has become a choice for high performance computing. It was only 1 to 2 percent adoption in 1998 and in the last 15 years it grew up to more than 90 percent. 5. Linux Kernel start with 10239 lines of code - A Standard Linux Kernel of today has over 10 Million lines of code and it grows at the rate of 10% every year. About 4500 lines of codes are added and 1500 lines of code are changed everyday. Initially in 1991, Linux kernel version 0.01 was released with 10239 lines of code. 6. Android Operating System is based on Linux - The operating system is primarily based off of Linux kernel and Google has made several changes to make it go above and beyond the original basis of Linux kernel. 7. Linux good for graphics design - Oscar-winning visual effects of the Titanic by James Cameron came from machines with Linux and Avatar was one the rich graphics movie completely developed in 3D Applications on Linux platform using Foss Software. 8. Linux asteroid - Linus Torvalds has been honoured by naming an astroid after his name. 9. Linux distro - There are over 300 distributions GNU / Linux activities ranging from the well known Debian or Fedora distributions through governmental or educational level. And this list seems to grow with regional and personal distros being added frequently.